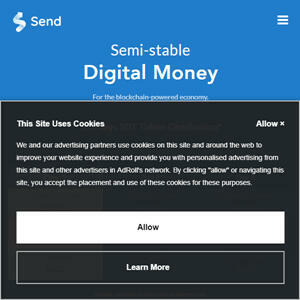 Send Protocol is the creator of Send SDT, a non-collateralized, semi-stable digital currency powered by the blockchain. Send SDT redefines the principles of price formation with a focus on real use. With 12,000 active users, Send Protocol is demonstrating the potential for a semi-stable digital asset to become the global digital currency standard for massive adoption.